Only 13 days until Christmas! 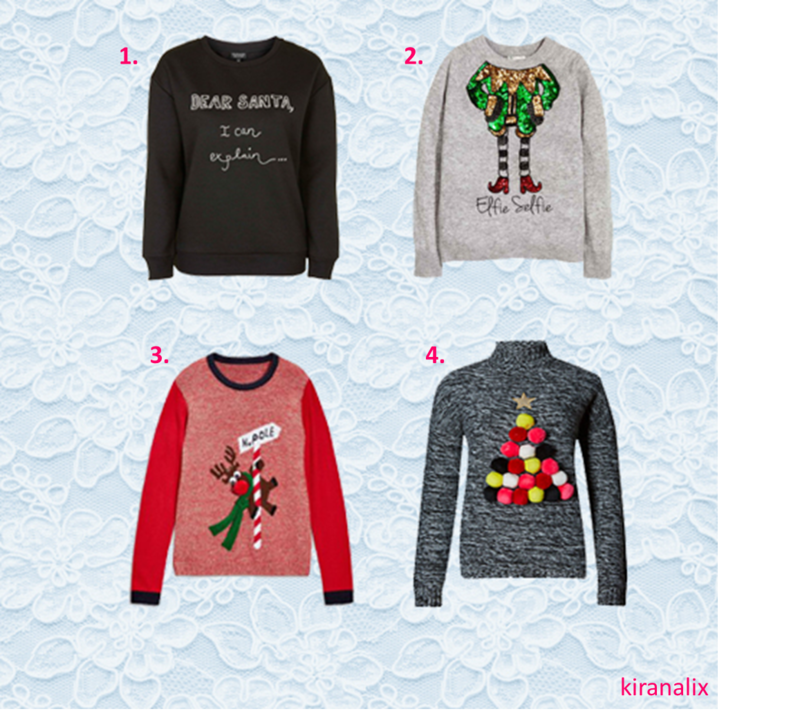 I thought this is the perfect time to share with you what Christmas jumpers I’m loving. Dear Santa Jumper – Topshop. There’s always one simple jumper I love every year. This year it has to be this one as the font used is super cute and compliments the jumper so well. This would be perfect if you don’t want to look too Christmasy. Sequin Jumper – H&M. This is opposite of the first one to be honest if you’d like to look Christmasy this one is perfect for you. I love the sequins it makes it look super attractive as well as sassy. Pom Pom Jumper – M&S. The comfiness of this jumper got to me. Like seriously doesn’t it look so warm and cosy. The pom poms add that last adorable touch as I think kids would love this jumper. North Pole Jumper – Next. Finally again I love this because of how Christmasy it is. I mean I haven’t seen one like this anywhere so if your looking to look different this one is for you. They are my few favourite Christmas jumpers this Christmas. What’s your favourite Christmas jumper this Christmas? Comment below. The pom-pom one is way too cute and so original!